We are truly fortunate in our school to be immersed in a wonderfully vibrant and supportive school community. We have close links with this community and on many occasions throughout the year we work closely with various groups in the community while further developing and enhancing our school. 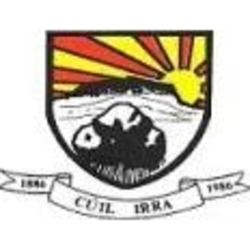 The GAA are very supportive of our school and the local club, Coolera/Strandhill, offer practical support and help to our school teams in the form of coaching and helping us with Cumann na mBunscol competitions. We have access to the sports pitch behind our school, which is particularly beneficial especially for Sports Day or fine summer days. The Coolera Dramatic Society are invaluable to us, involving all of our 4th class pupils annually in the Christmas Pantomime in the Hawk’s Well Theatre and helping us hugely during the production of our school musicals. The Coolera Dramatic Society have also given us generous financial support throughout the years, funding the shed in our Organic Garden and helping towards our library system. They provide lots of practical help to us also, always happy to lend us costumes or props, as well as their talent and time, for school productions. The Parish Council have supported our First Holy Communion party for many years and the Strandhill Rugby Club and Strandhill Golf Club have also developed links with our school. Tá an t-ádh linn cinnte leis na daoine iontach atá i bpobal na scoile.